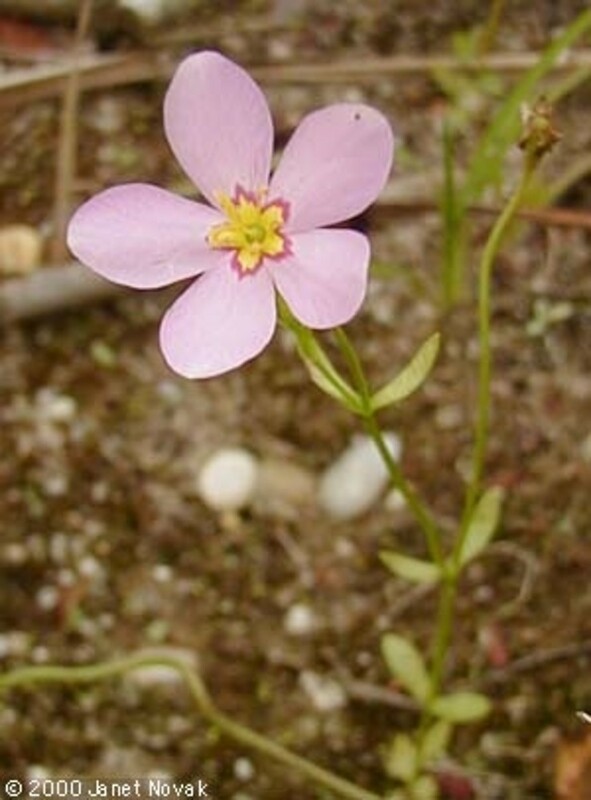 Annual rose-gentian is abundant along much of the Atlantic and Gulf coasts, but rare in New England, at the northern limit of its range. 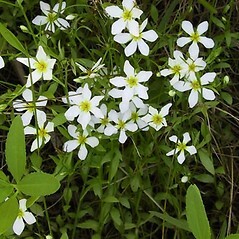 It grows on open sandy soils at the upper edges of salt and brackish marshes and ponds in coastal Connecticut, Massachusetts and Rhode Island. 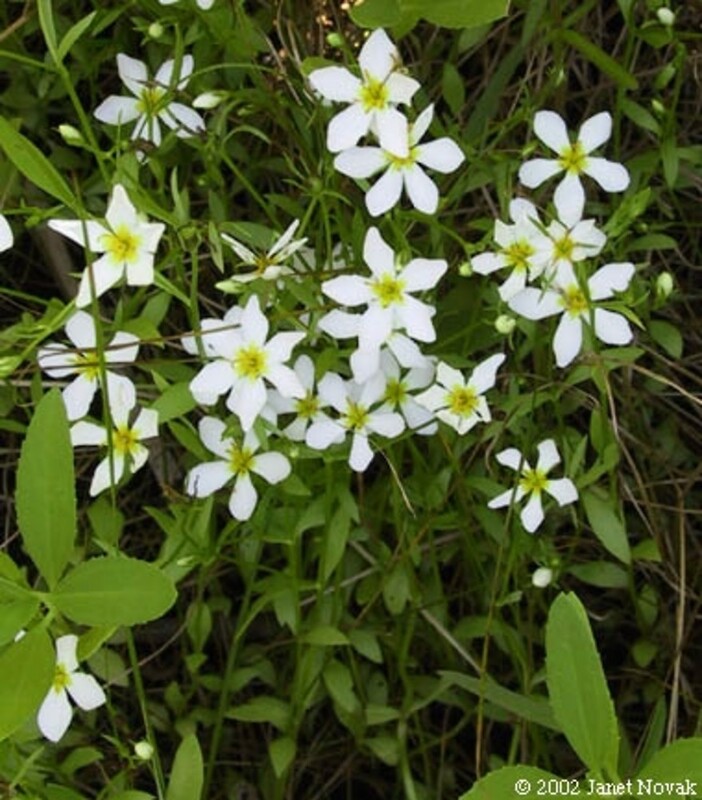 Invasive plants pose a threat to the remaining populations, although some populations have disappeared with no obvious changes to the habitat or community. 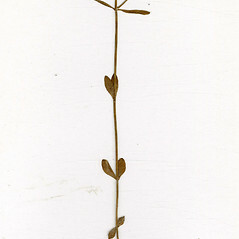 principal leaf blades linear to oblong or narrow-oval, widest at or below the middle, broadly sessile at the base, not darkening in drying, corolla usually not or only slightly exceeding the calyx, and plants perennial (vs. S. stellaris, with principal leaf blades elliptic to oblanceolate, widest at or above the middle, narrowly tapering to the base , often darkening in drying, corolla usually distinctly surpassing the calyx, and plants annual). 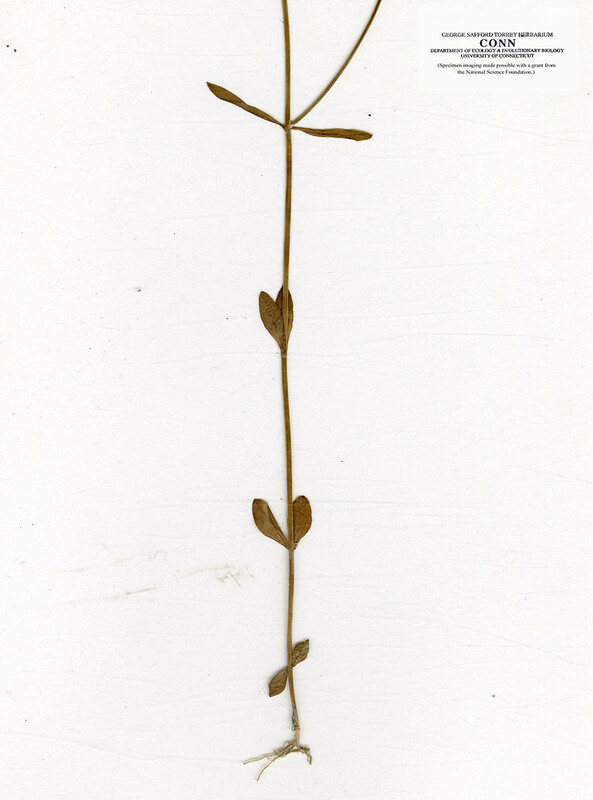 annual rose-gentian. Chironia amoena Raf. 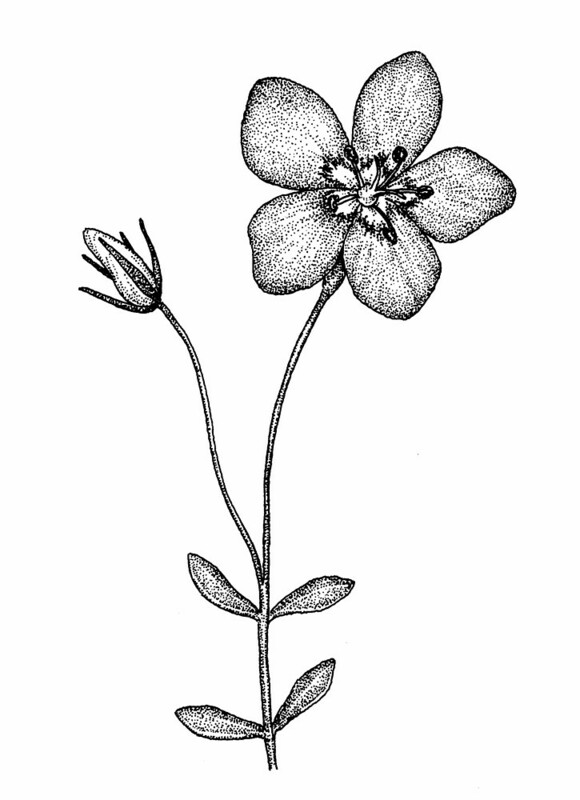 ; C. stellata Muhl. 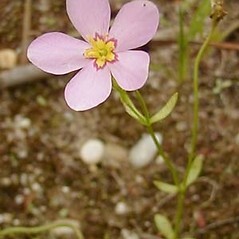 ; Sabatia amoena (Raf.) G. Don; S. maculata (Benth.) Benth. ex Gray; S. maritima Raf. 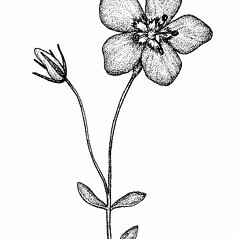 ; S. simulata Britt. • CT, MA, RI; coastal region of states. Saline and brackish marshes, brackish ponds, meadows adjacent to coastal marshes.